The couple that plays together stays together. For my husband and I nothing brings us closer than travel and food. During 2016 Mr. Misadventures and I will be focused on domestic travel in the new RV, but I do have some ideas on giving us a break from the (literal) road to head off somewhere else. We aren’t planning on doing much international travel and are going to stay pretty close to home (U.S.) but that doesn’t mean we can’t hop on over to an island or two. The San Juans on the West Coast and Puerto Rico on the East. Puerto Rico is easy. There is NO need for Passports and NO need to exchange money. Just get on a plane and go! It is the perfect spot for any couple to enjoy surf, sand, food, music, and much, much more. I have been to Puerto Rico twice. 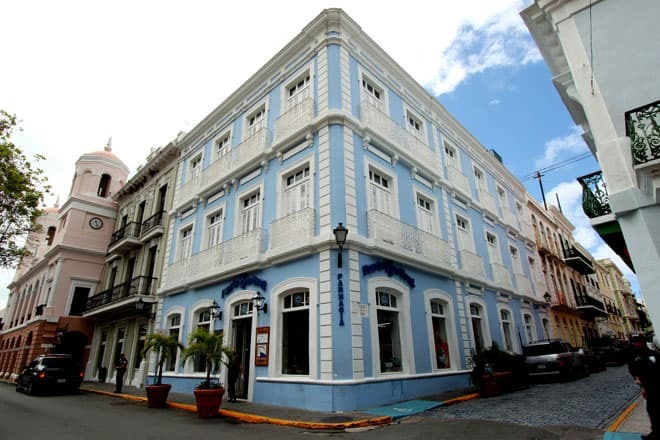 Each time I spent one glorious day in San Juan before hopping on a cruise boat to the Caribbean. I have known for years that I had missed out on two opportunities to extend my trip and discover more of Puerto Rico. The thing I remember most? Okay. The people and the tostones. More on that later. I have been teased by both Anthony Bourdain and Adam of Man vs. Food particularly the El Churry Mixto from the El Churry food truck. To me it looks worthy of its own trip. But let’s not start with food, or we will be here all day, I’ll get back to that in the moment. Oh who am I kidding? For me it’s all about the food! Besides Tony and Adam (sure, I’m on a first name basis with them!) I also blame Jessica van Dop DeJesus. Ms. Dining Traveler, a blogging bud and travel media specialist focused on food (how can you go wrong) who just successfully completed a Kickstarter to create a photo book and travel guide that shows the island from a Puerto Rican perspective, more specifically her perspective, which means lots and lots of food! I am so ready for that guide to come out, but in the meantime, I definitely have my own must-do foodie agenda! I will definitely be re-visiting Old San Juan (some of these cobblestones have been in place for 500 years and are still in use!) and El Morro (an historic fortress built in the 16th century to protect San Juan from attack by sea) which I have visited before. But I will also be checking out the amazing asopao, one of Puerto Rico MANY stews (I am a sucker for stew). This one is made with rice and chicken, lobster or shrimp and the best round happens to be in San Juan’s oldest restaurant, La Mallorquina, which has been around since 1848. They’re also supposed to serve killer coffee which I am definitely interested in trying out. 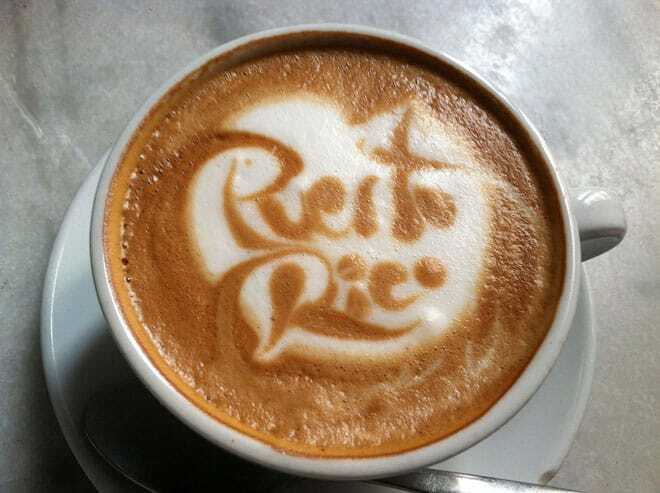 Puerto Rico has a long history of coffee farming and used to send it to the European royal courts. I was completely unaware of their long tradition in growing and roasting amazing coffee and I have it on my coffee bucket list to try! Then there is the sofrito. 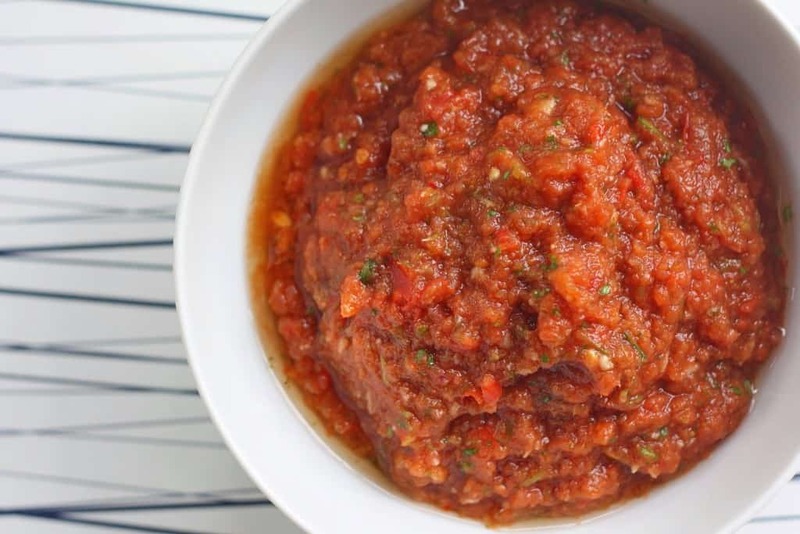 Just about anything made with sofrito is going to deep and rich in flavor. New Orleans has their holy trinity and the people of Puerto Rico have sofrito. Sofrito is a mixture of onions, coriander, peppers and garlic browned in either olive oil or lard and colored with achiote. The result is a bright-yellow color which is core to the Puerto Rico’s rice, soups, and stews. Dishes like carne guisada puertorriqueña (beef stew) or meat pies (they might just take the UK for a run for its money!). 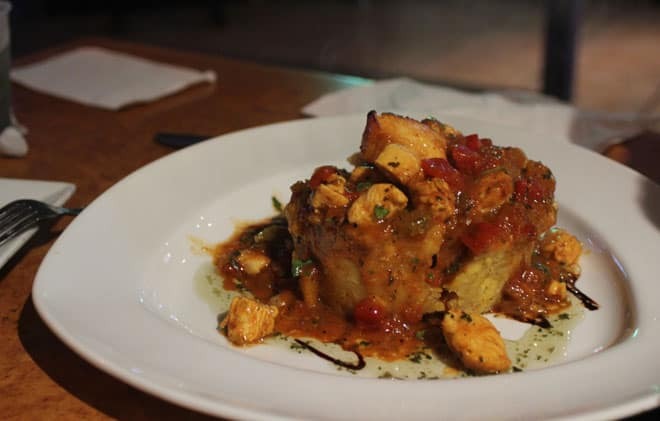 Another dish on my must-try list is mofongo, another stew, traditionalist say pork and pork skin (but there are beef, chicken and seafood versions) that is mashed together with plantains with a garlic sauce on top – yes please! 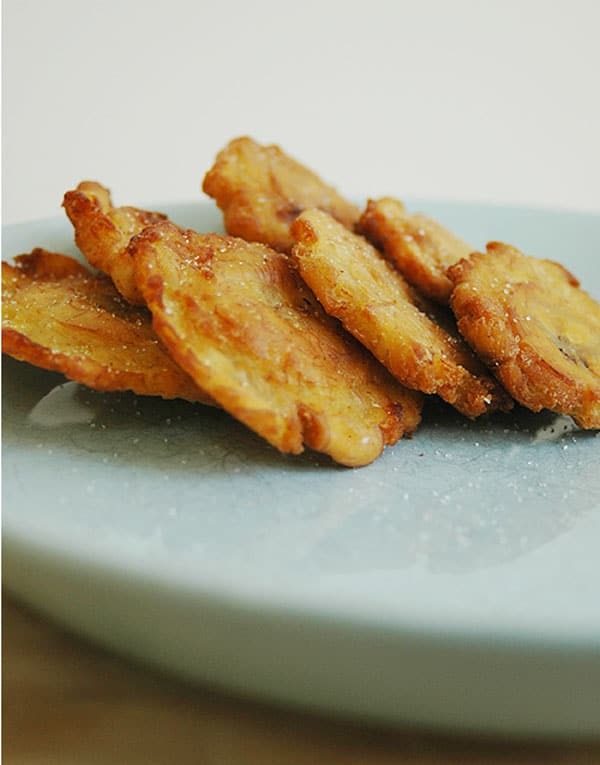 On my last visits I wasn’t thinking about coffee or stews, I had tostones on the brain. One of my favorite things to eat! 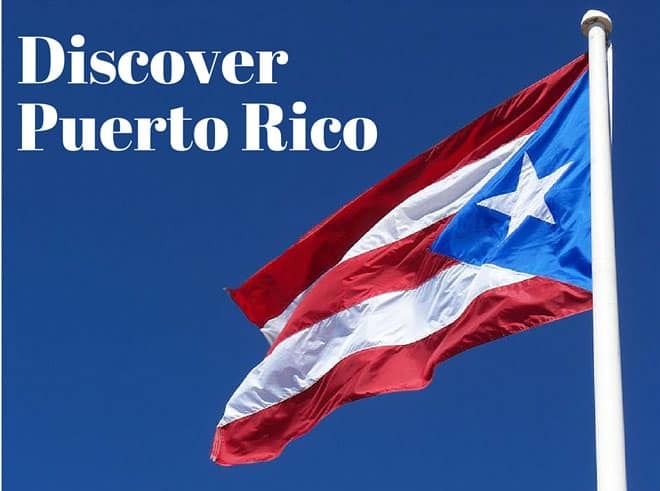 It is served as a side dish for practically everything and when I was there I discovered a farmer’s market (Saturdays between 8 a.m. and 1 p.m) where I bought a bag of tostones to snack on while I walked through San Juan. That salty goodness (tostones are fried and salted plantains) was enough to keep my mind off the 85 degree weather. The weather is practically 85 every single day, even when it rains, you cannot beat the consistent weather, especially if you are a beach goer. Puerto Rico has one of the top ten world’s most beautiful beaches (there are 270 miles of coastline), you definitely don’t want to miss a visit to what is considered the best – Flamenco Beach. I’ll go to if I can be guaranteed a sun umbrella and something with ice and rum! Not going to be a problem as rum is the national drink. Puerto Rico is the world’s leading rum producer. Eighty percent of the rum consumed in the United States comes from Puerto Rico! Every bartender has their own version of a rum-focused drink, be sure to ask wherever you visit! I think rum goes best with pasteles, don’t you think? 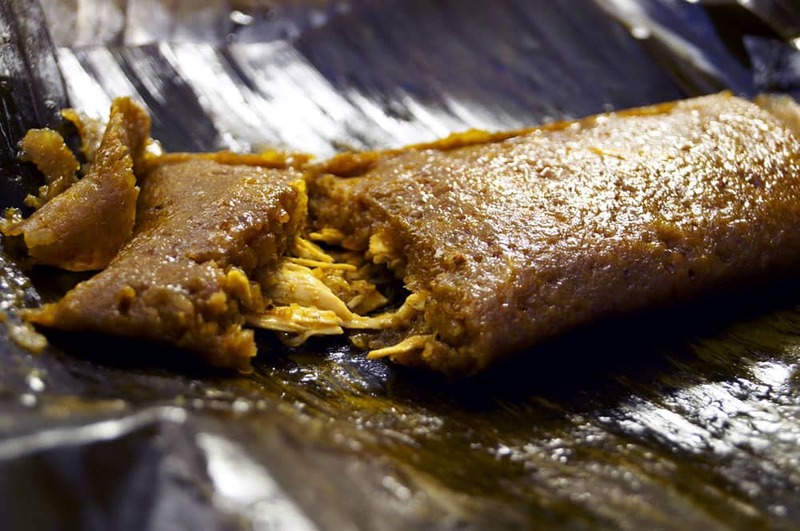 I hope this doesn’t make the islanders mad, but to me pasteles are the Puerto Rican version of a tamale and they are delicious. I’ve had them before, not in PR, but made by a native and I am waiting for someone to invite me over to their auntie’s house so I can try them again. There must be a pasteles cart somewhere on the islands? Right? That’s how I am going to live my 5-star foodie vacation in Puerto Rico, how will you live your own 5-star vacation story in Puerto Rico? As you can see there is lots to do! 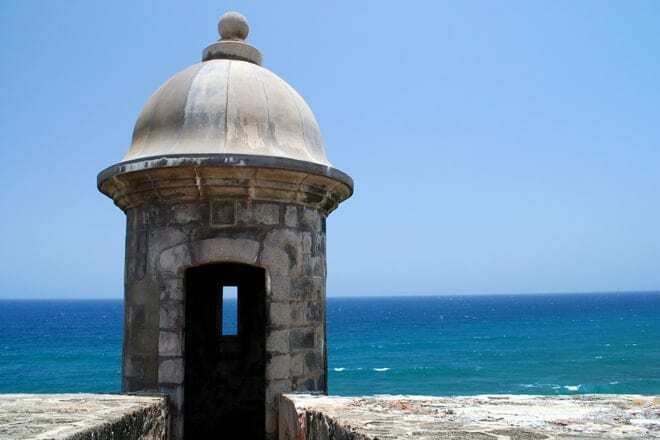 Visit the See Puerto Rico website, Like SeePuertoRico.com on Facebook or Follow @PRTourismCo on Twitter to gather and share your ideas for an amazing trip to The All Star Island. How about you? Have you been to Puerto Rico? 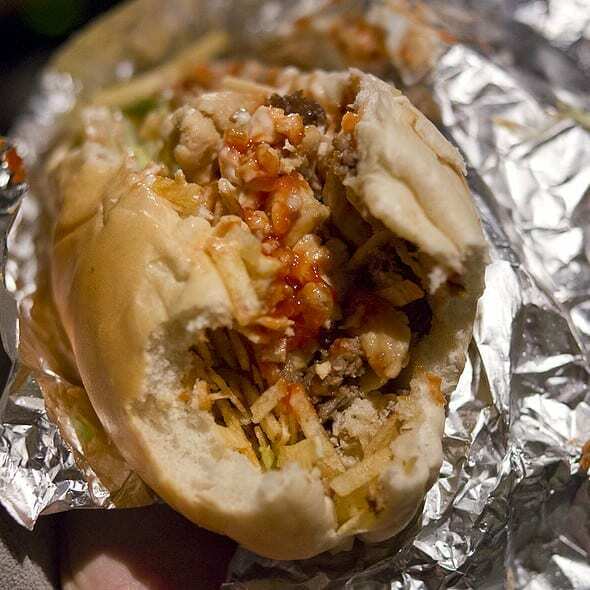 Have you been tempted by Puerto Rican food? Disclosure: This is a sponsored post brought to you by Puerto Rican Tourism. As always, all opinions are my own. I have so many places on my bucket list that I need to visit – PR is definitely one of them! Everyone just seems so cheery! @Gigi, everyone I met was very friendly and happy, I think that is island life in general. Of course, it’s always interesting to talk to the locals to have a good feel of the country’s culture. The food tastes also say a lot. I’d love to read about your food features! 🙂 Killer coffee looks great! I’ve always wanted to visit Puerto Rico ever since my uncle went and shared his photos. Maybe someday once, the kids are out of the house! 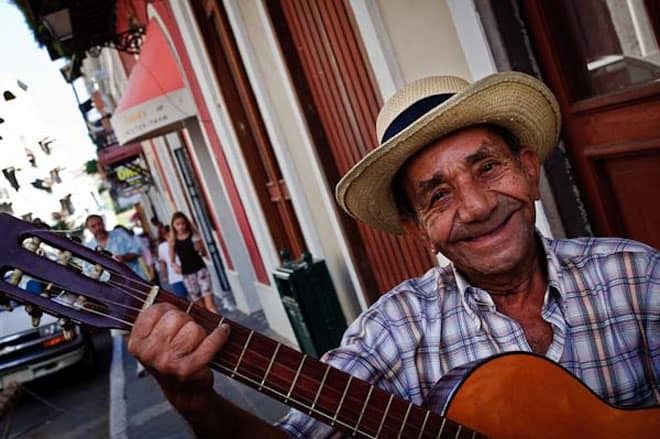 We spent time in Old San Juan last year – I loved exploring the outdoor market with local vendors. Such a beautiful place! @Carrie, did you enjoy the food? Awwwwww… and now I want to plan a trip back to Puerto Rico asap! 🙂 My husband and I went there in 2010 for our honeymoon, and it was an amazing experience! We visited Old San Juan and went to El Yunque as well. I would love to return soon with the kiddos. @Carrie, did you like the food? I’ve only been to San Juan and want to visit other areas. Puerto Rico you lovely island. I so want to visit and send some good time absorbing the culture….oh yes and the FOOD!!! @Brianna, the food is amazing! Very beautiful pictures. My sister visited Puerto Rico and loved it! Island hopping is the best! We visit the Caribbean at least once a year because it is so close to Florida. 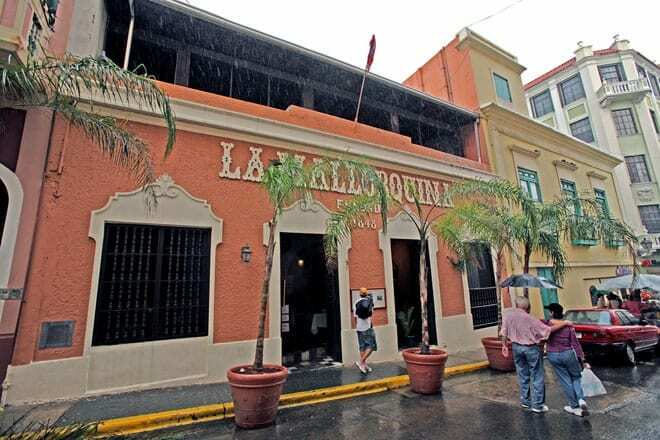 I love Puerto Rico because the food is always great and there is always something new to explore. Your post makes me want to book a trip soon! @Ashley, if I was in Florida I would do the same, smart girl taking advantage of its proximity, for us West Coasters it’s Hawaii. @Linda, I went there to debark for a cruise so I got an extra day, but I want to spend more time there. My father’s from Puerto Rico, but I’ve never been there. I don’t think he’s been back to PR since I’ve been born so that would be a great family trip for us. @Ronda, oh yes, you must go at least once in your life, as family it would be fun. My grandparents are from Portugal and we did a trip with them and it was amazing. @Chloe, I had it only once as well, but it was DELISH! I have a feeling my trip to Puerto Rico would be one long eating expedition, lol! @Tamra, you know it! That’s the best kind of trip! Ahhhhh I want to go to PR SO BAD! @Kristin, I have yet to go outside of San Juan, so I am anxious to explore other areas…of course it doesn’t take much to get me there, with tostones, mofungo and pasteles! Love this post, makes me want to book a flight to PR right now. The food looks fantastic, love the tostones!! @Tara, we could hang in PR then, tostones and an ice cold beer, nothing better! I am with you for sure!! Oh I love PR! I’m from the neighboring island of the DR – such familiarity and delicious food! Yay!! Love that you’re spreading the good word about Puerto Rico! That’s where my family is from and I visit at least one eve or twice a year. It’s the loveliest! I have only been to Puerto Rico before or after getting on a cruise as well. I definitely need to actually go there and spend time, so many beautiful things and great food! 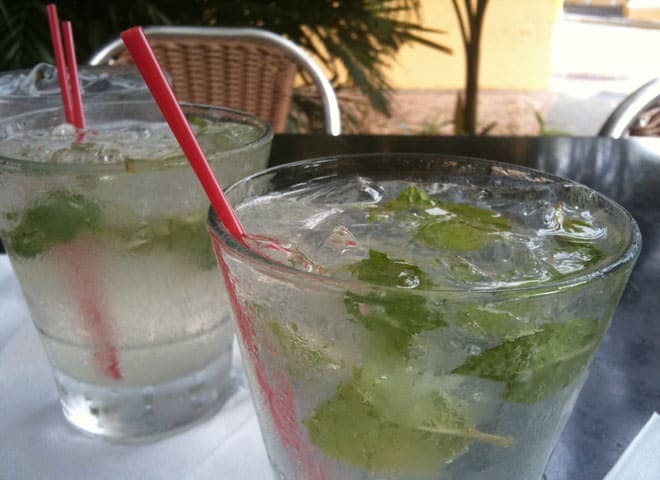 Perfect weather, mojitos and pasteles?! Count me in!! Puerto Rico looks like a great pace to visit. The food looks really amazing. You made me hungry!! This looks wonderful! I would like to go now after reading your post, I particularly like the old buildings so full of character and I could just drink a Mojitos right now……. Mmmm. The tostones. I have family in Puerto Rico and haven’t been for years. This post makes me want to return and explore more of that beautiful island! Great food pics and I love that first photo of the man with the guitar. Puerto Rico is awesome! Andi! THIS IS AMAZING. I’m half Puerto Rican (my mom is full), so I grew up eating fried plantains, sofrito in EVERYTHING and so much more. Sadly, I’ve never had the chance to go back to PR but what a dream it would be. Thank you so much for sharing!! LOVE THIS. Puerto Rico looks amazing! I would so like to go there some day. You did an awesome job of making it look irresistible. Nice photos too! Puerto Rico, la Isla del Encanto, la mas bella delmundo. solo tienen que ver sus valles y sus montañas y sobe todo su amables ciudadanos. Darwin Cancel.